Tastefully decorated property with an in-house restaurant and a banquet hall. 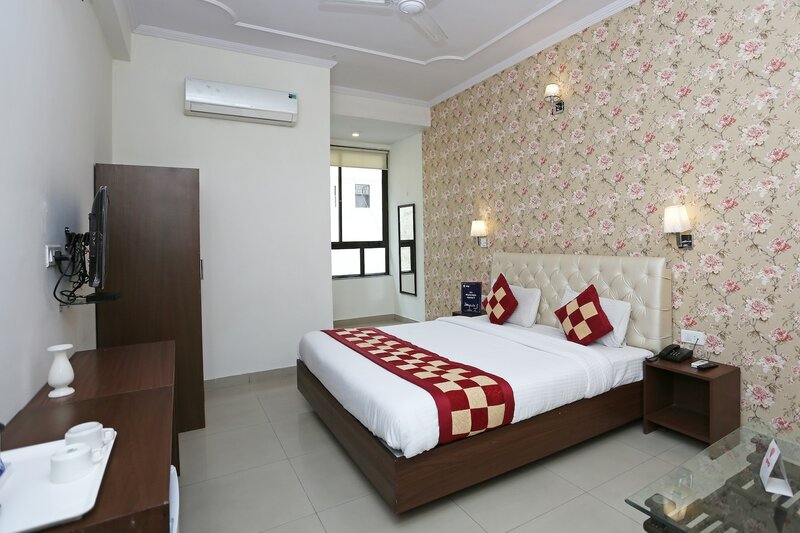 A wide range of colorful rooms is available at the Hotel Shree Residency which provides a number of basic facilities within pocket-friendly prices to travelers visiting Jaipur. The rooms are well-furnished and the intelligent use of artificial lights makes the rooms well-lit. The cushioned headboard is a delightful addition to the space. The extra facilities offered by the hotel are free Wi-Fi, parking provision, card payment in all forms, an elevator facility, laundry provisions, and CCTV cameras. The in-house amenities include a restaurant and a kitchen. The in-house facilities provided by the hotel are a restaurant and a banquet hall. The front desk service has also been decorated elegantly and is extended by a well-furnished reception. The front desk is done impressively and set a distinguished tone for the hotel.